The vast majority of software development companies have to place a great emphasis on the process of continuous integration and rapid delivery of new versions of their product. Obviously, when supplying enterprise-level projects, such processes need to be automated as much as possible. And this is when the cloud DevOps tools come in handy. Thus, in today’s article we’d like to pay a special attention to the DevOps tools that automate the continuous integration and delivery within the Jelastic PaaS that can be installed on any bare metal or cloud infrastructure as Virtual Private Cloud or Hybrid Cloud. 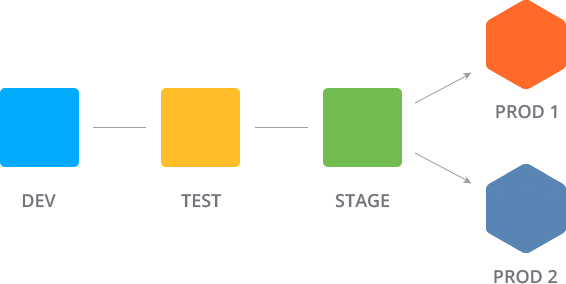 This is a pretty complex example of enterprise application life cycle with continuous integration and seamless migration throughout DevOps Pipeline from development to several productions (you can use simplified process if you have less complex project). The instruction below will be useful for Jelastic cluster administrators such as systems integrators, hosting service providers, enterprises, and ISV customers, who can easily implement it at their Jelastic Cloud installations. Nevertheless, this guide contains plenty of features and continuous integration tips described, which can be interesting for different developers. So, let’s get started with the first part of the instruction! First of all, you need to allocate separate hardware sets for all your project teams (one per each development phase, i.e. development > testing > production) and adjust the access permissions to make them completely isolated and not influenced by others. The Multi-Regions for a Hybrid Cloud option, that became available within the recently released Jelastic 3.3 version, is optimally suited for this task. To start with, create three hardware node groups (within one region) and name them after the corresponding stages for more convenience (e.g. dev, test, production). The next step is to prepare three user groups and attach them to the corresponding hardware – in our case the dev group has access to the dev hardware node group only, qa – to the test one, and ops should work specifically with the production set. In such a way, users from the appropriate groups can use the specified sets of hardware only, but at the same time – they have a possibility to transfer their environments throughout the whole platform, between different teams’ accounts. Now we need the integration tool, that will control and perform all of the required operations automatically, i.e. 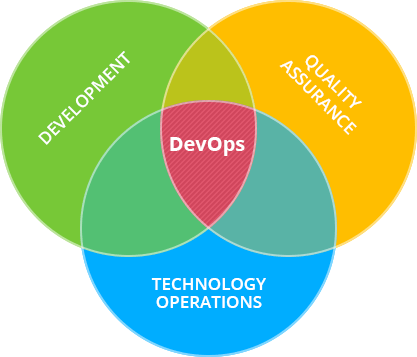 build the cloud DevOps pipeline. Our choice fell on Jenkins as one of the most popular solutions used for this goal – it can be easily installed from our Marketplace either at the corresponding site page or directly via the dashboard. While at the home page, click on the Manage Jenkins option at the left-hand menu and select the Manage Plugins link within the appeared list. Click Install without restart when ready. During the installation process, tick the Restart Jenkins when installation is complete and no jobs are running option to automatically restart Jenkins for enabling the chosen plugins. 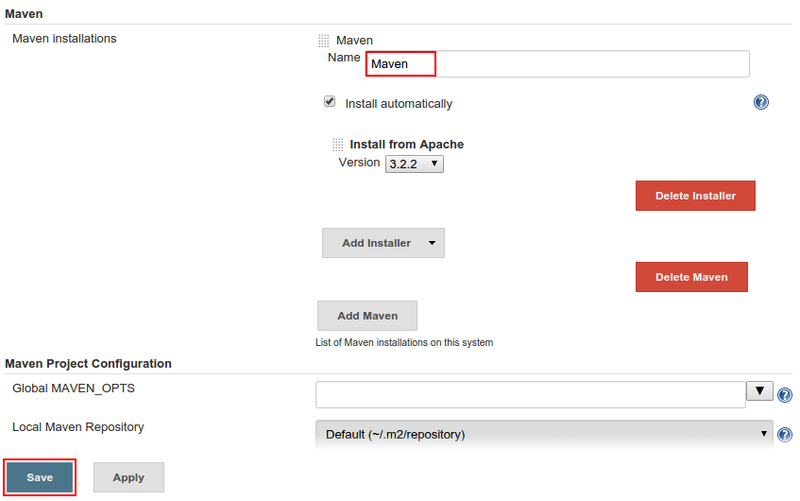 Then, you also need to install Maven, which will be used for building the project. 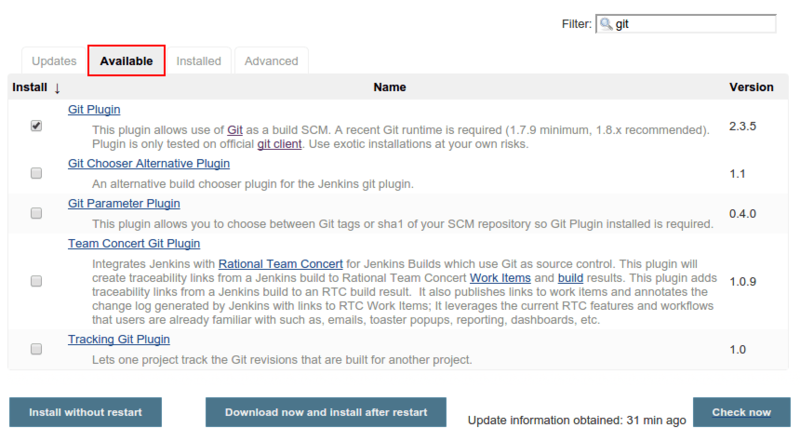 For that, navigate to the Manage Jenkins > Configure System menu, scroll down to the Maven section and click Add Maven. Within the expanded section, type the desired name for your Maven installation (e.g. Maven) and Save the changes using the same-named button at the bottom of the page. In such a way, this tool will be also automatically installed when required (i.e. during the first app build). Now your Jenkins server is well-staffed for the further work. The next step is to upload the scripts that you are going to use for automating different organizational actions, required to be applied to your application at the intermediate development life cycle phases (like deploying, placing it to the appropriate hardware according to the stage, running auto-test, etc). The easiest way to do this is to access your Jenkins container via the Jelastic SSH-gateway. This location can be used for storing your scripts, variables, logs etc. Note: Above you can see one more runtest.sh script uploaded – it simulates the testing activities for demonstration purposes, thus we don’t provide its code in this tutorial. If required, create your own one according the specifics of your application and upload it alongside the rest of the scripts. Stay tuned to see the next steps. If you still don’t have Jelastic installation, contact us to get access to our free demo for cloud platform evaluation or just start with trial registration at one of our hosting partners.